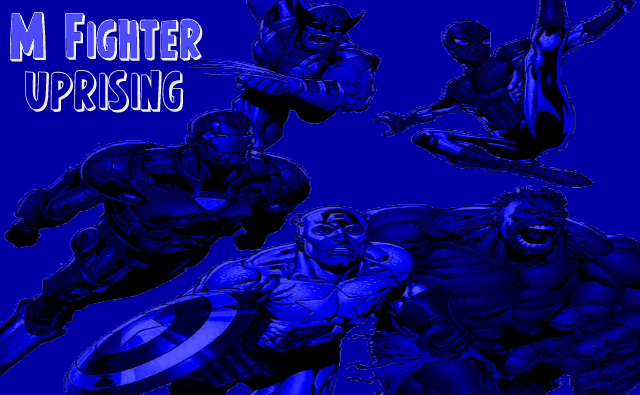 M Fighter Uprising is a fighting game featuring Marvel comics characters. A while back I put a vote out whether I should work on expanding on D Fighter or making a Villian fighter. After some thinking I made the decision to make a straight Marvel fighter, since most of the DC villians would be recycled from D Fighter. There were several people who said that the villians would not make sense without heroes, and I came to agree on that. The game will now be called "M Fighter: Uprising". Like D Fighter, it will use more of a grounded Street Fighter 2 fighting base as opposed to an over the top vs game base. My main goal was to use the DocOck4Mugen sprite sheetss of Spiderman villians that I got a while back. 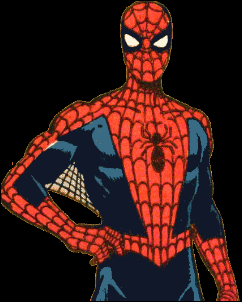 And then I realized that there was actually an early version of Spiderman for UFGE made by Fenix, the creator of the engine when it was initially released. So that gave me at least 4 characters for the roster. Then I thought of basing this game on the idea of the "big 5". With D Fighter, I wanted to get the 5 iconic main characters "Superman, Batman, Wonder Woman, Flash, Green Lantern", and their villians so there would be several recognizable characters. However, I didn't want to make too many characters that were already made in the official games. For this I decided to use Spiderman, Wolverine, Captain America, Hulk, and Iron Man. The UFGE engine does have limits, and I cannot copy characters directly, but a side effect of this is that I can make established characters slightly different from the arcade origins. 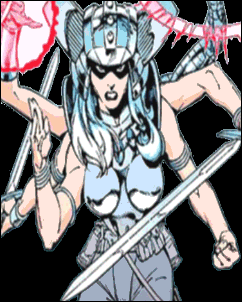 For example, concerning Spiral, I would not be able to make her sword attacks and power ups directly like the arcade. So I took her sprites and made some adjustments so that she's a similar character with different moves. For example, I made her fierce 6 hit punch a special move (like I did with Plastic Man's similar attack in D Fighter). I made her sword super from MvC2 into a toned down regular move. As opposed to a close-in character like Rhino, Spiral is a keep away character in this game, similar to Dhalsim. Press any key to begin and ENTER for one of the options. These can be changed in "system options". To choose the default color pallete, press Light Punch. To choose color #2 Med Punch. Pressing Start or any other button will select a random pallete. Here is a quick list of the basic universal character properties. I'd compare the game feel I'm going for as similar to Street Fighter Alpha and Darkstalkers. Before I resized the characters for SFR, but this time for UFGE each character will have his original sprite size. Each character will have a vs style super bar that fills to 10 levels. Even though chaining is possible, I won't use it unless it fits the character (like a speedster or martial artist). Characters can block in the air. Characters and dash or run forward and backwards by tapping twice in either direction. Characters can attack during a forward dash. There is no super jumping, but there are some moves which will fly high and take advantage of the tall backgrounds. The Captain Marvel edit was originally created for Mugen by MICROmor & 5k0rX. The Electro edit was originally created by DocOck4Mugen. 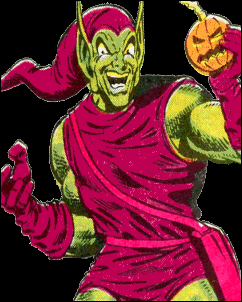 The Green Goblin edit was originally created by DocOck4Mugen. The Rhino edit was originally created by DocOck4Mugen. Character originally coded by UFGE creator TruFenix. She is slightly different from the arcade version, see the above notes in section 1 for an explanation. The Super Skrull edit was originally created by bdcirck for Mugen. Viper edited from Dampir's open source Blair Dame sprites with Hydra soldier sprites from UltraRoboNinja's bonus stage for Mugen. There are some bugs in this project, but nothing that will really take away from the gameplay. If you want to play story mode, be sure to choose it first when you run the game, otherwise you will not be able to play the character you choose. Brawl mode may have some problems with hit reactions (like holds). I designed the characters overall for one on one mode. Thoughts on the project/Future Plans. One thing I wanted to point out is that this roster doesn't have many main iconic characters, this will change when I start on the second beta. The main reason I picked this roster is because since most of the characters are from the arcade games, and I wanted to show that I could add some characters that weren't made before. As I said before a goal for the final project is to make a select screen with 5 iconic characters and their enemies on the opposite side (like with D Fighter). This list is a partial treatment for the final version. 1. Wolverine (not made yet) - Juggernaut or Magneto (not made yet) Wolverine is pretty much the biggest mainstream icon that Marvel has had. I was going to make Sabretooth as his counterpart, however I really didn't feel like making him. 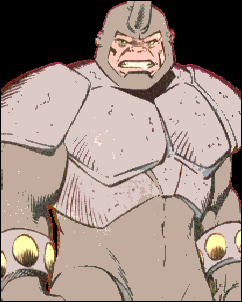 I liked Juggernaut and Magneto better, although I'm leaning towards Juggernaut. 2. Captain America - Baron Zemo This is my personal favorite. I wanted to get a good opposite of Captain America and since my attempt to edit Zemo was very easy to do and came off well, I went with that. Discovering the old book on record of the early Cap vs Zemo fight was just perfect. 3. Spiderman - Green Goblin Fenix (the creator of UFGE) already made a Spiderman for the game, so I edited it a little to make it consistent with the rest of the characters. DocOck4Mugen had given me several Spiderman villian sprites, and a goal of mine was to make as many of them into characters that I could. There was a slight problem since the sprite count of the Green Goblin after I edited him is much less than the other characters. I was going to replace him with Venom in the final version, but I really wanted to have Goblin in since his moves came off real good. 4. Hulk (not made yet) - Rhino Pretty simple. Making DocOck's Rhino had a lot of moves I would have used for Hulk with enough differences. 5. Iron Man (not made yet) - Mandarin (not made yet) I actually got the idea to do a new M Fighter instead of Villian Fighter was when I saw the Iron Man movie. He'd be very easy to make w/ War Machine. I was thinking of asking Buyog for his sprites of Mandarin (from Gen and Todo?) at a later date, but I decided to make my own (from Gen and Real Bout Geese Howard). Nick Fury - Viper I've been a fan of the Shield comics and the Punisher arcade game, and I loved making Nick Fury so he would have palletes reflecting both. Viper was a good excuse to make a color separation sprite sheet of Dampir's Blair Dame. This is actually the second attempt to make Viper. The first was with Annie Hamilton's head and Cammy's body. 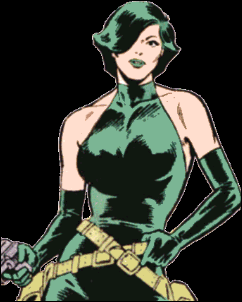 I was a big fan of the Captain America runs that featured her taking over the Serpent Society and teaming with Red Skull. 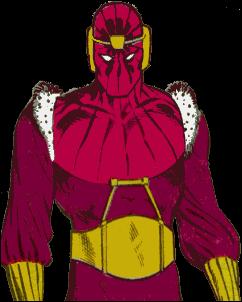 Thing (not made yet) - Super Skrull I got permission to make the Thing from Warner a while back, and decided to put him in, when the Super Skrull sprites were declared open source. 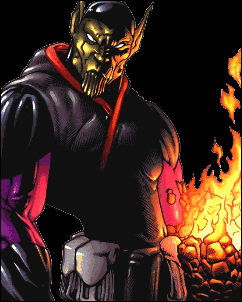 I really love how Super Skrull came out in UFGE, and I want to add Power Skrull in a later release. 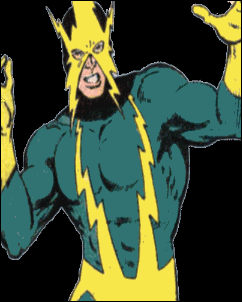 Electro The DocOck character. Different from verz's Electro (although he did a great job on his). Not all characters will have a hero/villian counterpart. 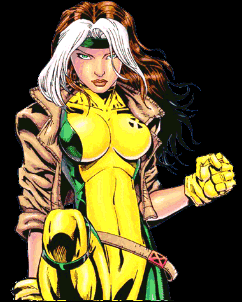 Captain Marvel, Rogue I actually made them a while back, but never released them. 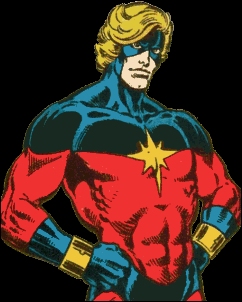 I really wanted to edit Genis-vell into Mar-vell, and using some D Fighter edits I had, it came out pretty good. There will be many more characters, this is just an explanation on why I picked who I picked. When I release the beta, I will start to ask for permissions for other characters I wanted to make (Jean Grey, Beast, Wonder Man, Mr. Fantastic etc.). I will also work on some other edits I have been planning on (Typhoid Mary, Sebastian Shaw, Moonstone). I'm also up for any suggestions. 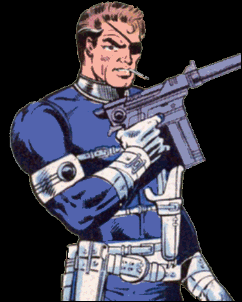 BTW, when I release the beta, I'll also release the sprites of Zemo, Nick Fury and Viper as open source. Infact, all characters that I have created FROM MY OWN SPRITES (not ones based on other people's creations) will be open source. The DC vs Marvel guys have been very cool with helping me out with character sprites. Also a huge thanks to Fenix for all his hard work on the UFGE engine. I apologize in advance for the lousy storyline :P. With the exception of the early SFninja and SFRanma games, I had a lot of trouble with the endings and found that to be a huge block for me releasing a game. I decided to go with a generic story like in MvC2, and go with that. The reason I use so many midi files from the Megaman X games? I was a fan of many of the mid 90's Capcom CPS2 fighters and one of the many things I loved was the music (I was very dissapointed with MvC2's lighter soundtrack). I felt that the Megaman X games has a very similar sound, so I used a lot of them in this game. I'm finding the 1942 series of games are similar in that aspect too. Fenixware/UFGE Thanks to Trufenix for creating the UFGE engine and getting me started on this stuff over again. Visit the Fenixware page for the UFGE engine and other projects. Llinrac Thanks to Llinrac for his help with backgrounds and moral support. ... Thanks to the others on the Fenixware boards and anyone who worked on SFR in the past. Thanks to Jenn Dolari for the original SFJenn game for SFibm. Huge thanks to the ScruffyDragon/DC vs Marvel Mugen team from the message boards for the help and feedback. Kong's Sprite Rips Game sprites ripped by Kong can be found here. 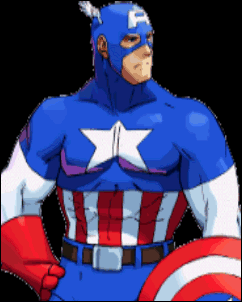 Marvel Sound Rips Sounds from Marvel: Ultimate Alliance can be found here. Power Records Plaza Sound files of old comic storybook records can be found here. Video Game Music Archive This site has a ton of great midi files that I used for the background music. I used many from the Megaman X series because I felt that it was really close to the music used in the mid 90's Capcom fighters. If you play this please send thoughts, good or bad, to mailto:gm.spect@gmail.com.